On our amazing thirteen day "anniventury" trip this summer, we had a blast exploring Niagara Falls, Jamaica, and beyond. 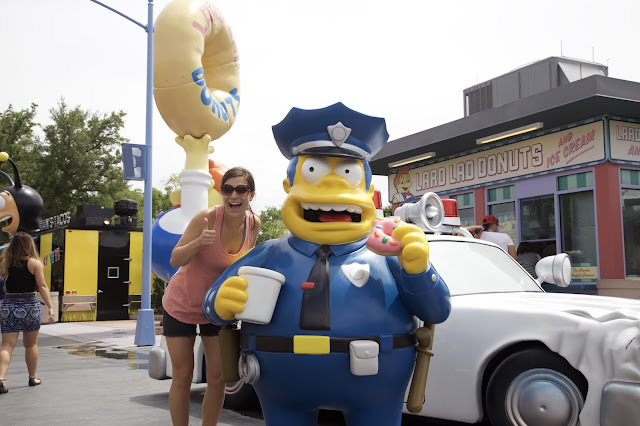 But one part of our trip was surprisingly more fun than I expected: Disney World and Universal Studios Orlando. For a 25 and 26 year old without kids, you wouldn't think that these two places would be anywhere near as fun as they were. But how did we navigate the parks in early June, when Peak season was just beginning and the weather was heating up? Let me tell you, we didn't wait longer than 25 minutes for a SINGLE ride. Here's are the secrets to how we pulled it off, and how you can too! First off, I was super super impressed with everything on the DisneyWorld website. From booking fast passes (you get three for free when you buy your ticket, so book them early! 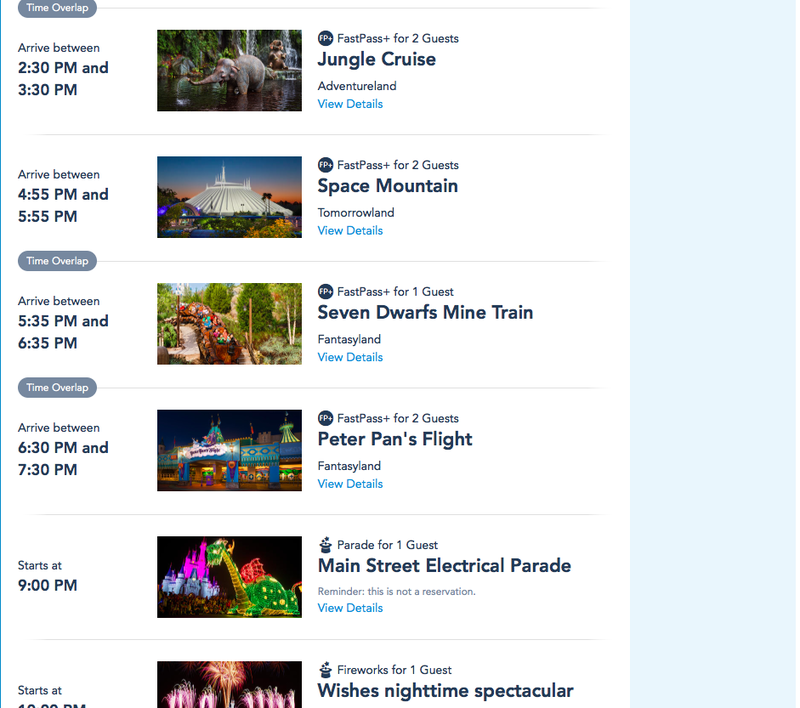 ), to checking out show and meal times, to even planning out the attractions you'd like to visit, the My Disney experience website truly makes your trip that much easier and more efficient. But to really beat the system, you've got to download the app! 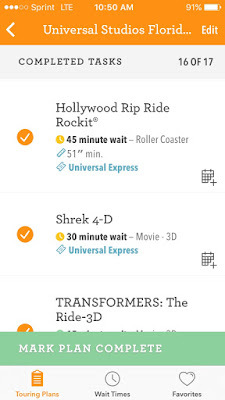 Once you've downloaded the app to your phone, you'll not only be able to check on ride waiting times, but you'll also be able to update your fast passes on the go without having to go to a kiosk. 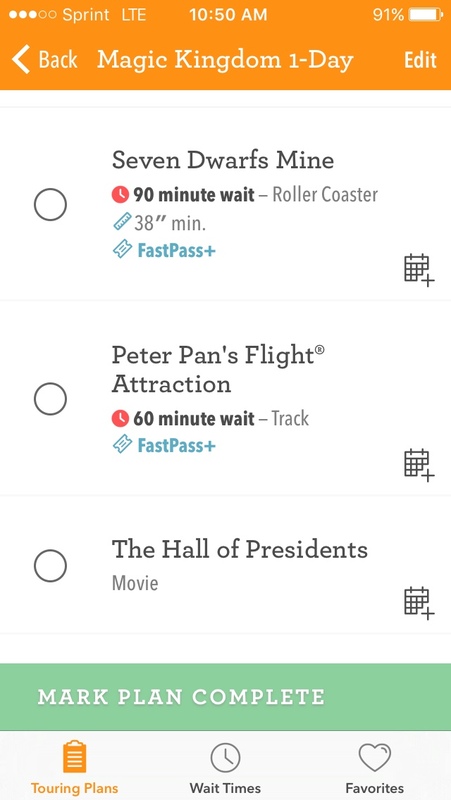 This saves you tons of precious time because after you redeem your first three fast passes (we booked Space Mountain, Splash Mountain, and Big Thunder Mountain), you'll be able to book another fast pass (one at a time). You can continue repeating this system: use it, book another, and so on. 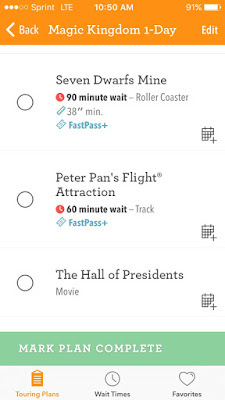 You can see from our schedule below that we were actually able to use EIGHT fast passes in the one day we spent at Magic Kingdom. We even rode Space Mountain twice: in the rain the second time and with NO WAIT even though there were a billion people in the regular line (fast pass riders have a separate waiting line that's usually much shorter). My big secret? They'll usually let you in about five minutes before your assigned time window. As soon as we crossed the initial fast pass entrance, where you scan your wristbands or tickets to gain timed access, the app would immediately register our fast pass as being redeemed. So while we were waiting the 5-10 minutes or so in the much smaller fast pass line, I'd already be on and searching for our next ride. It didn't matter that we hadn't reached the secret fast pass check in line they use to keep people honest! And Seven Dwarfs Mine Train? Despite the fact that it was the newest, most popular ride in the park that we were unable to get initial fast passes for (meaning it wasn't one of our three early reservations), I got on the ride after only a ten minute wait in the fast pass line. The ride was broken down all morning and people were livid. We didn't even get to the park until 9 am. People waited for almost two hours in the regular line to ride it. But I just kept refreshing my fast pass search for the ride while we ate lunch at yummy Friar's Nook. And I was able to get a time slot for about 30 minutes later where I just showed up and got on the ride. So big take away here? Keep searching and searching for better times or for a ride you really love if you want to ride it. People are constantly accepting and dropping times, so be patient. And you can always say you want to "modify" your reservation, so that you won't have to give it up just to search for a better time! Don't ever wait hours and hours in a line- you can do better! Although Pirates of the Caribbean and Jungle Cruise aren't top tier attractions worthy of burning an initial fast pass reservation on, the fact that we had the ability to book a fast pass and then walk right on to the ride made for literally no wait in the regular queue line. Rule of thumb: if the line is 15 minutes or less, it's probably worth it to just wait instead of trying for a pass. We just walked right on to several smaller rides in between the ones we had fast passes for (things like Haunted Mansion, The Hall of Presidents, It's a Small World, etc). 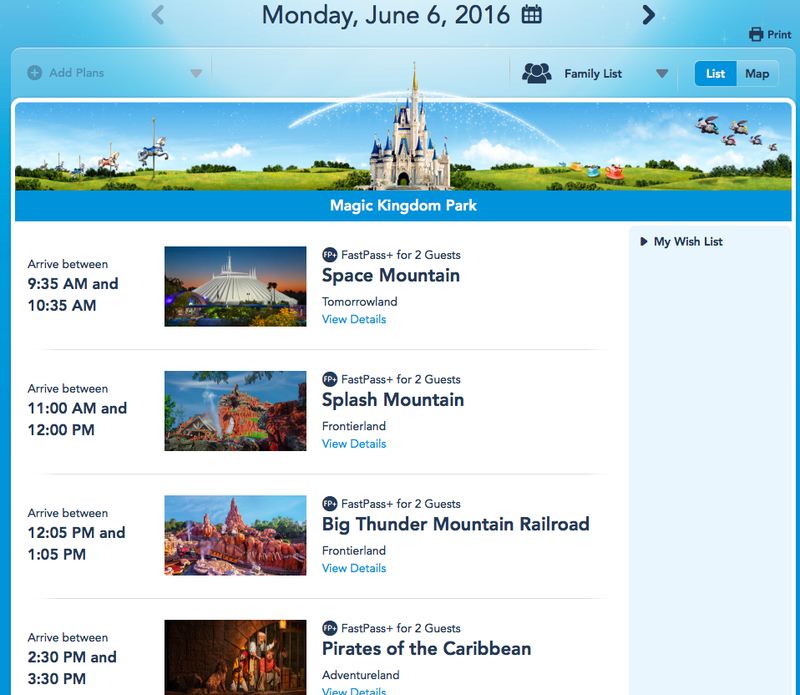 You can always fill in the gaps of your Fast Pass reservations with smaller rides. 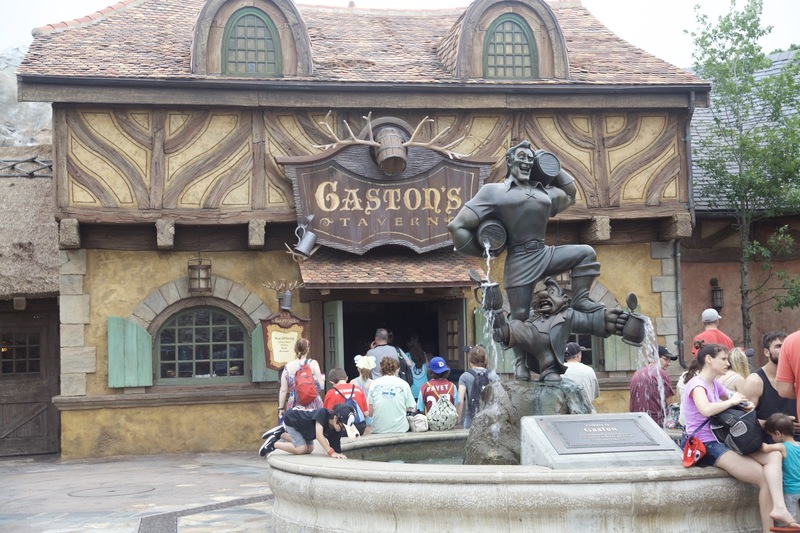 For great tips on how to navigate the Magic Kingdom in the number of days you have, check out the Disney Tourist Blog. 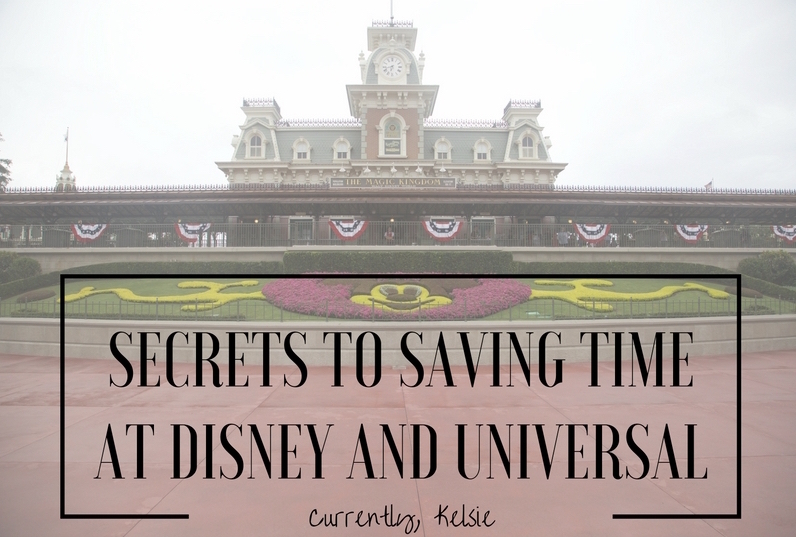 I loved their 1-Day Magic Kingdom Ideal Plan, which gave me a lot of guidance for how to make the most of our day. We were at the park from like 9 am- 6:30 pm with rain, and yet we rode every single major ride (some more than once) and had a lunch break! Another app that I had and really loved for both parks (Disney and Universal) was the Undercover Tourist App. It was free and had really great touring plans to really maximize the time that you had in the parks. 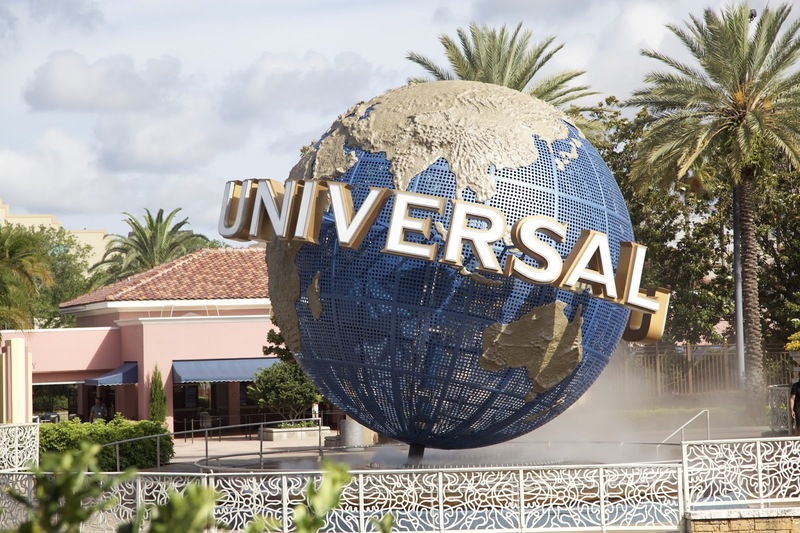 We did one day in Magic Kingdom, and one day at Universal Studios Florida. I added one day plans for each park, and then eliminated or added the attractions based on what we wanted to ride. 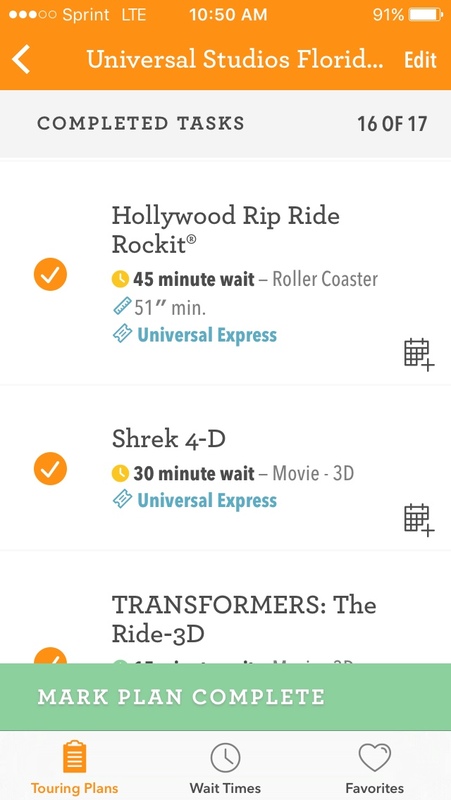 The app also showed ride wait times, so I had an idea of whether or not we should change up our plan to accommodate a shorter or longer line. You can check things off as you ride them, which removes things from the plan and helps you see what else you've got to cover. You can even add in meal or snack stops, or nap times if you need to! Aaron and I didn't pay the extra $80 a person or so for the fast-pass ticket at Universal (they aren't included like they are at Disney). Although the fast-pass is unlimited at Universal, and can get you into any ride instead of just three, we just decided it wasn't worth it to us. Our solution for super long lines? We rode as single riders! Although it would be a little harder if you had younger children, Aaron and I figured that we weren't really going to talk on the ride anyways, so we single rode on big rides like The Mummy, Harry Potter and the Escape from Gringotts, Transformers, and Men in Black. People were waiting for 45 min to an hour for these rides, and we literally just walked right on (sometimes more than once). Another way to save a lot of time at a park is to eat before or after the main eating hours. You'll save a lot of time that's often wasted waiting in line for food. 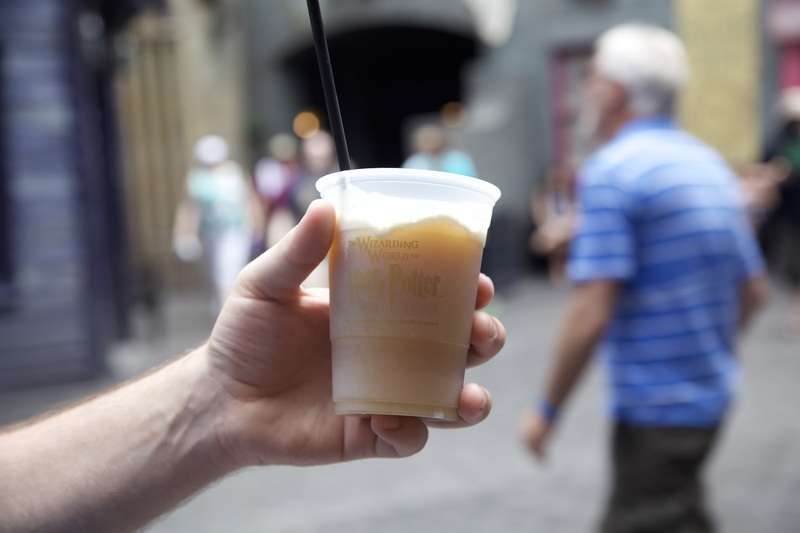 We grabbed a yummy frozen Butterbeer (there's not alcohol in it, if you wondered) in the amazing Diagon Alley, and waited a bit to eat lunch until things were less crowded. Eat a big breakfast before you come and you can make it work. Or eat an early, bigger lunch, and go hard all day, then leave for dinner. You'll save money this way too! Another tip is to take advantage of rainy Orlando weather by hopping on the rides that are still safe and don't close at that time. While others are weenie-ing out or taking a break, you'll be able to navigate around the park and enjoy some rides. It's also a good idea to ride super popular rides right at the open or closing times if you can, when there are typically smaller, shorter lines. Definitely don't forget your poncho! If you're smart about it, do your research, and use phone apps and fast passes to your advantage, you truly can get a lot done in a theme park in one day. Sure, if you've got little kiddos and character visits are a big part of your vacation, then you may need an extra day for that. But if you're looking to get in and ride things, enjoy the atmosphere, and not be there forever, then this post will give you a good start. Have questions? Let me know! I'm happy to help you have the most fabulous theme park experience you've ever had, with less stress and a whole lot less time waiting in lines. Happy planning! Are you following along on Instagram and Facebook? Don't miss out on recent posts or fun travel photos! This is perfect! I don't even know when we'll make it to Disney World, but we will at some point, and this will be so helpful. Thanks for sharing! These are awesome tips! I've never been to Disneyworld, but have used many of these tips at Disneyland, but had no idea you could do so much with the app! Definitely using some of these tips for our trip there! Great tips! We went to Disney World for the first time last year in August (way too hot by the way!!). The app is a lifesaver. We didn't figure out the single rider lines until a few days into our trip. We had our 7 year old with us, so one parent would take him to do something while the other parent would ride some of the things he didn't want to go on or couldn't. Kelsie, I get so excited when you write a post about travel, because I feel like I always gain valuable tips! I first discovered travel reward credit cards, because I read your post about redeeming points for trips. Ever since hubs and I got married a year ago we have dreamed about travling more. We have gone on a lot of road trips (six in six months!) but we haven't made it to our dream destinations yet (NYC, most of Europe--especially Italy). 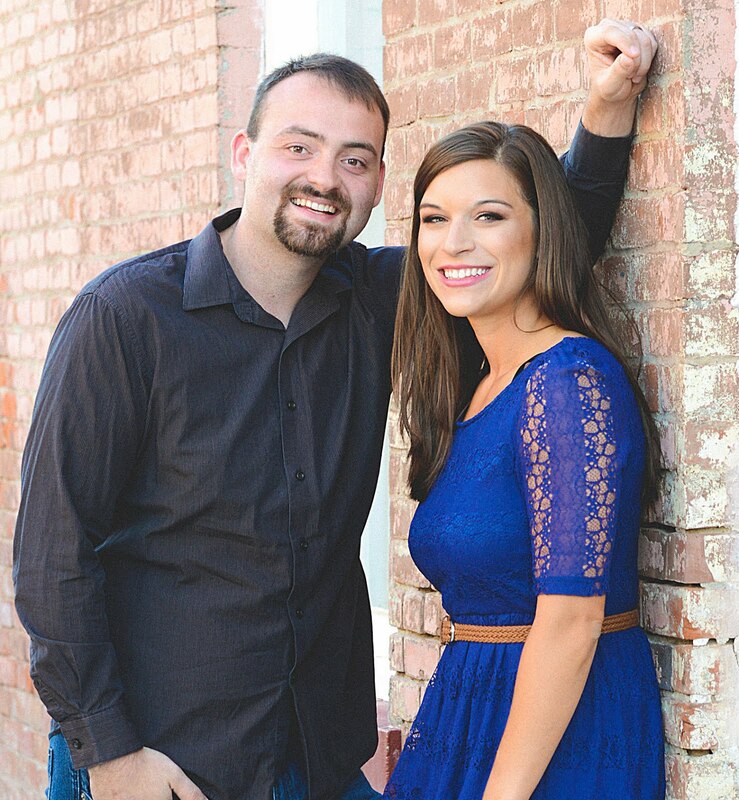 We are at the point in our life where we are finishing up school (hubs has one semester left! ), and trying to pay off student loans. I cannot wait for the day when we have enough disposable income to be able to plan some bigger trips! In the meanwhile, I am saving your travel posts for resources for later. Thanks! Love these tips!! Just pinned! We're going to Disney with a 4 year old in October. I need all the tips I can get!! Love these tips! I frequent both West Coast versions of the parks and use a lot of these myself (though Disneyland doesn't let you schedule Fast Passes). Single Rider is the best in my opinion! I am literally bookmarking this, printing it out and downloading all the apps right now. We're going to Disney for a day (we have a park hopper pass) and I've been so overwhelmed with trying to figure out what to do and how to plan our day out! You are the best! Really great tips and advise on how to navigate some of the most visited parks in the country! Thank you. I am so jealous of your trip and these are such helpful tips! Great tips! I want to go visit now! Wish I had know this when we went to Didney a few years ago! I felt like all we did was wait in line! This will come in handy when we go again!